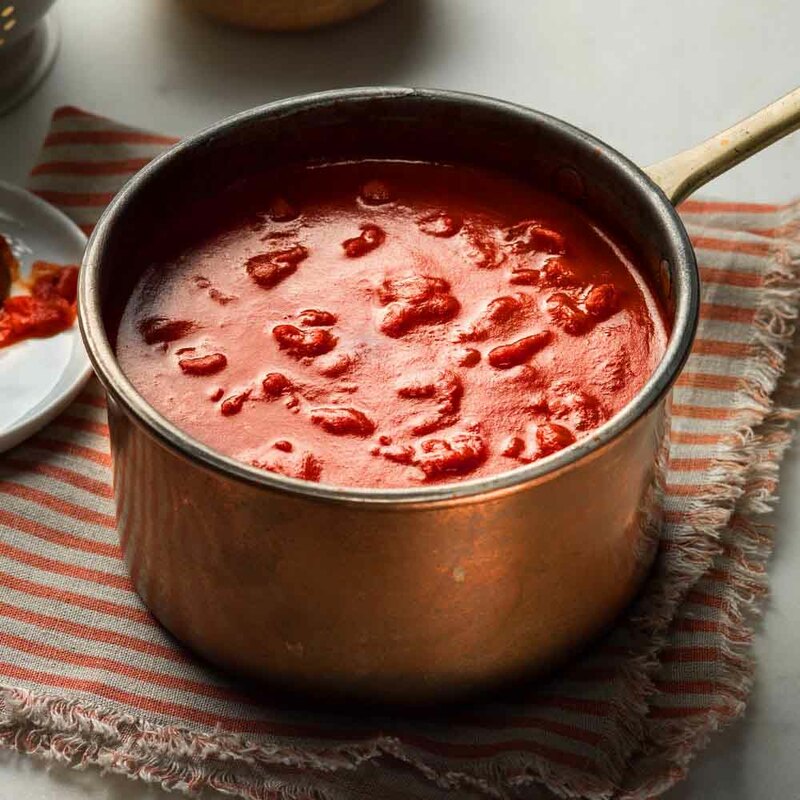 Combine tomato paste and water in medium saucepan; stir in diced tomatoes with their liquid. Bring to a boil over high heat. Reduce heat to low; simmer 10 minutes, stirring occasionally.